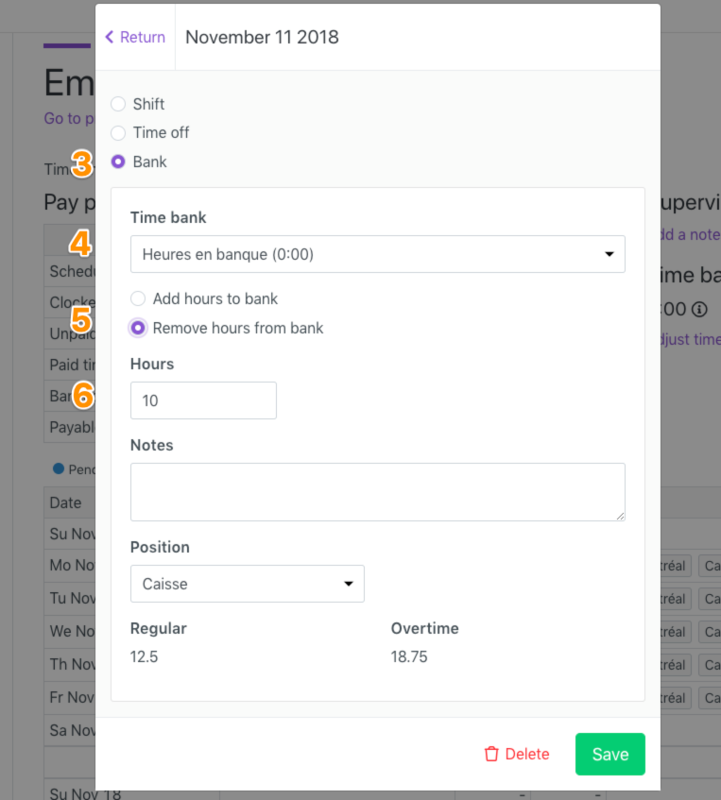 For employees who have accrued overtime hours, it is possible for managers to withdraw from the time banks and fill the timesheet. 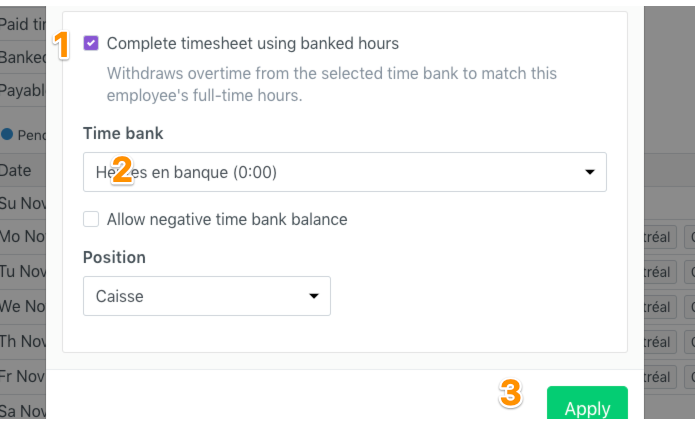 Select "Remove hours from bank"
Check "Complete timesheet using banked hours"
The time bank can have a negative balance if you check the box below the bank. A time entry will be displayed in the timesheet to show the employee that the hours have been withdraw from the bank to fill the timesheet. The ⬇️ indicates that the hours have been withdrawn from the bank.